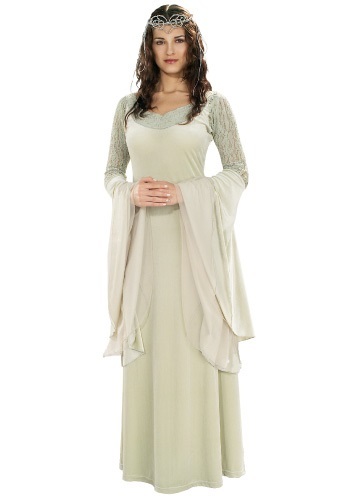 Become the queen at Aragorn's side in this adult Arwen costume. 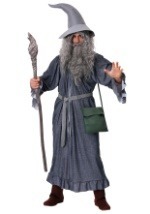 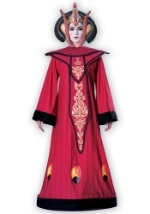 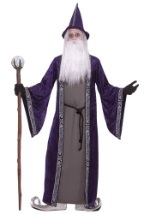 This licensed Lord of the Rings costume is 100% polyester but has the look and feel of crushed velvet. The light-green dress has elegant bell sleeves with tulle netting beneath. 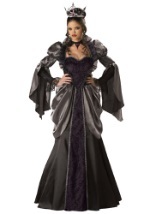 A lace pattern lines the neck and makes up the upper half of the sleeves as well. 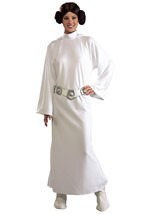 The included tiara is made of silver costume gems and beads, which attach to a headband. 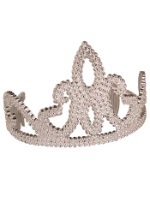 Delicate strands of silver flow down from the headband for a truly regal look. 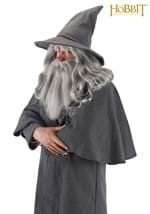 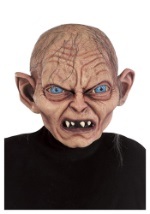 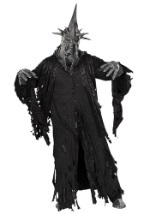 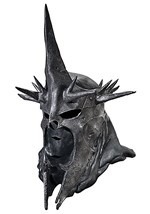 Check out our other Lord of the Rings costumes for an epic fantasy Halloween group costume!